Rabbit breeding season is in full swing, for both our domestic rabbits, and for wild cottontails. No matter where you live, there is a chance you may encounter local nesting cottontail rabbits. Laura, from Petrolia, returned home one day and discovered a nest of 4 baby cottontails in the lawn. On occasion they saw the female bunny there by the nest. But one day, before the kits’ eyes had opened, one of the babies had vanished. The next day a second kit was gone. 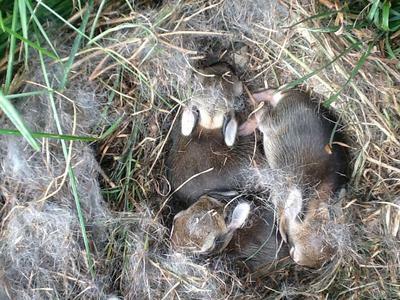 Below: Laura's photo of the cottontail nest with just 3 remaining cottontails. Their eyes are not yet open. It is possible that the kits simply squirmed away from the nest and then did not know how to get back. While you might think they would be lurking nearby, it is possible for them to crawl a dozen or more feet away before nuzzling into a hiding spot and falling asleep. It is likely that the doe would find the missing kit and feed it where it rests without dragging the baby back to the nest. It is also possible that a predator was making off with the kits one per day. As horrific as this sounds, it is the reality of the ecosystem, and no injustice has been done. 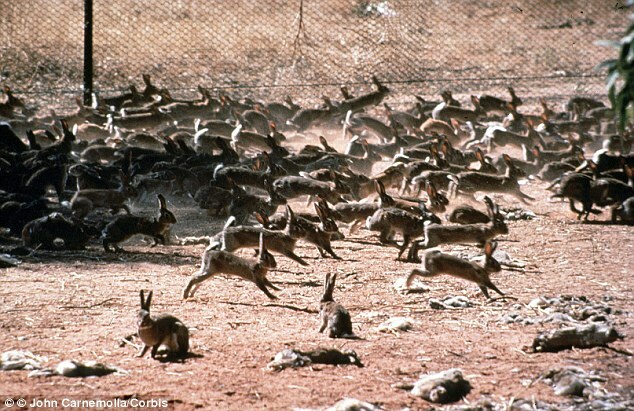 75% of all wild rabbits become prey before the age of 3 months. Because rabbits multiply so prolifically, the remaining rabbits are enough to maintain the balance between prey and predator while ensuring the survival of the species. What should you do if you find a cottontail nest? Do what Laura did – watch it from afar while leaving it alone. Hopefully the kits won't leave as early as they did in Laura's yard, but they will certainly begin to disappear by the age of around 3 or 3.5 weeks old, hopping off happily on their own and doing their best to avoid becoming carnivore dinner. If you need it, you’ll find excellent instructions for feeding both cottontails and orphan domestic rabbits here. Does your rabbit manure sit in growing piles on the ground under the rabbits? Do you empty the drop pans into a back-breaking compost bin? Are you loathe to just discard your kitchen scraps? Then you may wish to add vermiculture to your rabbit raising! Vermiculture refers to raising and growing worm populations. Vermicomposting refers to letting worms compost both animal manure and discarded kitchen scraps, including newspapers and many kinds of cardboard. Yes, worms will eat it all, and leave you with black gold – an earthy pile of worm castings that is absolutely the best fertilizer in the world. In the barn, one can build forms out of 2x10 lumber under the rabbit cages, allowing the worms to do their work over weeks or possibly months. Both the worm-processed manure and the excess worms can provide additional income, helping to defray feed and cage costs, or even more. 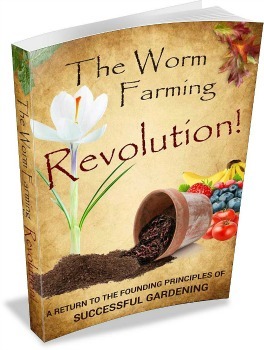 For all sorts of guidance about raising worms, this link will take you to the authoritative worm website, Worm Farming Revealed. It’s that time again in Sidney Australia. Without natural predators, the numbers of feral domestic rabbits in Australia have reached “plague proportions.” To address the problem, officials there have baited chopped carrots with the calicivirus (RHD) in hopes of reducing rabbit populations by up to 80%. A second round of contaminated carrots are planned for distribution in May. RHD is a highly pathogenic virus that has in the past killed up to 99.5% of rabbits. Below: This photo, probably taken in the mid-1900's, illustrates the capacity for feral rabbits to reproduce destructively. Behind the fence, erected to keep rabbits out of a large area, the ground is still covered in grasses and brush. On this side of the fence, in contrast, the rabbits have eaten everything. 20% of the feral population are currently reported to be immune to calicivirus, illustrating the ability of the immune system of many organisms, from the lowly virus all the way to mankind, to change and adapt to health threats. These 20% will be unaffected by the virus, as will a growing percentage of newly immune rabbits. This approach to the difficult problem will not work forever. What does seem to work are dedicated full-time rabbit hunters, which is the approach that many large farms and ranches in both Australia and New Zealand utilize. Your friends at Raising-Rabbits.com wish you a wonderful May 2015.